The halls are waxed, the classrooms are cleaned and the summer work crews are completing the last minute detail work to have our campus sparkling and ready for the arrival of students in just a few weeks! Below are a few important pieces of information I wanted to share with you as we begin the 2018-19 school year. We are excited to start the year with a School Resource Officer (SRO) who will be on campus each day students are in session. Emily Ahrens is a Garrettsville Police Officer and will be in all of our buildings this year. She has completed all of her police officer training and has completed the School Resource Officer Academy. Our SRO will be interacting with our kids on a regular basis to develop strong relationships with them. You will certainly see Officer Ahrens at bus duty, lunch duties, pickup/dropoff, meeting with groups of students, teaching safety lessons and discussing careers in law enforcement. Garfield was able to create this position with the help of the Village of Garrettsville, who is helping support the cost. This partnership will add an important layer of safety on our campus and strengthen the strong relationship we have with our local police department. We have also written a grant to pay for a part-time Social Worker in our schools this year. This individual will assist students and families with their mental, behavioral and emotional needs. They are also tied very closely to local services and programs and can support linking kids and families to these resources. We are now in year two of using our Safe School Helpline. It is designed to assist you in reporting any wrongdoing that impacts our schools, our students or our staff – anonymously, so as to protect your privacy. For example, you may wish to report acts of violence, theft, drug or alcohol use, weapons or sexual harassment. At the start of the year you will be receiving promotional materials from Safe School Helpline. To utilize this service, just call from a touch-tone phone to 1-800-4-1-VOICE, ext. 359 to leave your information. Your message will not be traced, and you will not be identified. You can also text TIP to 66746 and the Safe School Helpline team will transcribe and email your message to school officials, so appropriate action can be taken. This year most of our families will experience the most exciting feature of our new online form program, FinalForms. The program saves data from season-to-season and year-to-year. This means that you will never need to enter the same information twice! FinalForms also pre-populates information wherever possible, for each student, saving valuable time. If you completed final forms last year, all you need to do now is login and verify all of your information is correct. Visit www.jagschools.org, click “Menu” and then navigate to “Links” to find the link to Final Forms. Kiosks will also be available in each of the school offices for those without Internet access to complete the forms online. Our website, jagschools.org, provides easy navigation and integration with Facebook and Twitter. The website contains all the information you need for a successful start of the school year such as supply lists, our yearly school calendar, events and news. The free JAG Mobile App allows you to receive push notifications regarding school emergencies, messages or news alerts. The mobile app can be downloaded for free from the iTunes App Store by searching JAG Mobile, OH or Google Play Store by searching for JAG Mobile. In the settings you can customize which building or department you wish to receive notifications from. ProgressBook is our online gracebook and is available to students and parents! Progress Book allows for real-time viewing of academic progress online and grade or missing assignment alerts sent directly to your email. ProgressBook is also used for our attendance system, allowing us to notify you in a more timely manner should their child be absent from school. Our community takes great pride in having an excellent school system. 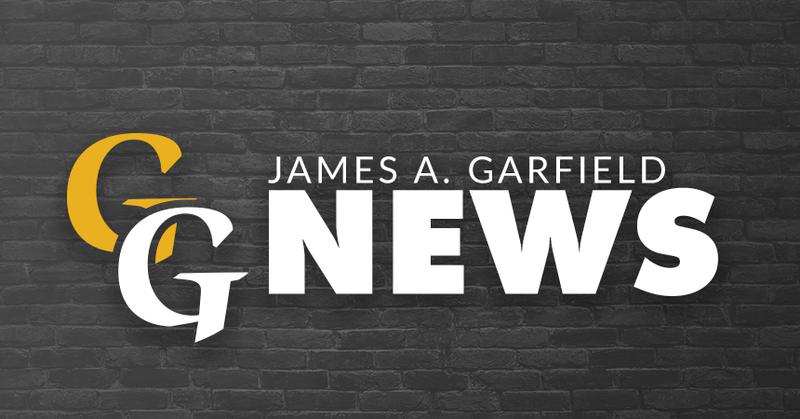 Garfield takes full advantage of all the opportunities technology affords us to communicate all of the excellent accomplishments of our students and staff.